What do we need to be aware of that could hinder our success? How do we go about shipping intermodal? What does the process look like? What type of equipment is available and what are the dimensions? How do we evaluate what will be a good intermodal lane? How do we implement an intermodal strategy into our company? These are all great questions that we’ll address in this article to help position your company for intermodal shipping success. Before jumping into the next several paragraphs, the number one mistake shippers make when shipping 53’ domestic intermodal is to come out of the box thinking intermodal is just like truckload shipping. After all, the intermodal container is 53’ and a truckload dry van is 53’. Add to it, the process of pricing, shipment tender, track & trace and final invoice is exactly like a truckload, so what could possibly be different? If you get nothing else out of this article, please understand intermodal is truckload-like, not exactly like truckload. This is true for loading, transits, recovery and other areas. With that idea behind us, let’s jump into the content. Load weight for intermodal transportation is different than with truckload options. Based on the container, chassis and the commonly used tractors for drayage, the recommended maximum laden weight is 42,500 lbs. Shipments must be legal at both origin and destination ramps. Federal guidelines limit the gross weight of the tractor, trailer (or container/chassis) and lading to a maximum of 80,000 lbs. Some states may also enforce additional limits on specific highways or on bridges. 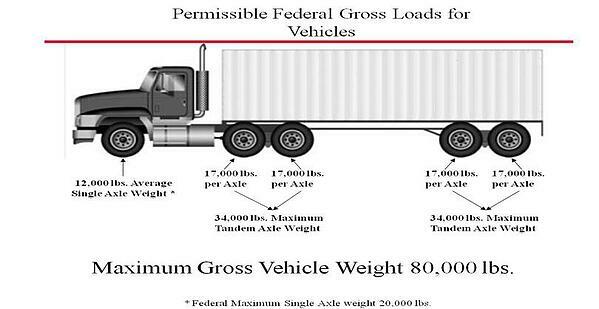 Federal Gross Vehicle Weight Limit (tractor/chassis/container) is 80,000 lbs., with axle maximums of 12,000 lbs. on Steers; 34,000 lbs.on Drives; and 34,000 lbs. on Trailer/Chassis, as is depicted in the below diagram. When a vehicle falls into one of these overweight situations the customer is responsible for the cost of scaling, fines and any additional charges to make vehicle compliant, as well as any additional freight charges. Blocking and bracing falls under the heading of load configurations. Intermodal loads experience a harmonic vibration that will move a load laterally and/or longitudinally, which is unlike a truckload shipment because these vibrations only occur on the rail. On the plus side, railroads are very helpful in providing direction and load plans on how to best block and brace loads to protect against the harmonic vibrations. No need to jump to the conclusion blocking and bracing is costly. Sometimes it involves a single 2 x 4 and 16d nails or an inexpensive loading strap. Also on the topic of blocking and bracing, shippers are responsible for this activity when using domestic intermodal. Many shippers have pushed off the blocking and bracing of truckloads to their truckload carriers. The railroads emphatically will hold true to that blocking and bracing is the shipper’s responsibility. There is no budging on this, so to protect against damage and ensure reimbursement for claims, shippers will need to block and brace the loads. For more on this topic, please read "Intermodal Weight - The Most Common Issue for New Intermodal Shippers". Not all transits are created equal within intermodal, so don’t fall into the thinking all intermodal transits are truck, plus a day. A couple of the most common reasons for transits to be more than the advertised truck plus a day occurs when the lane consists of interlining a box between two railroads or the lane is not running every day on the rail. Also, the transit may be truck, plus a day, but the lane may not be operated every day. You’ll find most will, but don’t assume that to be the case, so ask the question. Unlike railcar business, railroads do not sell domestic intermodal retail to shippers, or as those in the industry say, “railroads do not sell direct to beneficial cargo owners (BCO’s).” BCO’s need to work through what are called intermodal marketing companies (IMC's). IMC's buy on a wholesale level from the railroads, then sell to BCO’s. Many IMC’s find BCO’s object to this idea coming out of the gate, but quickly find this relationship is extremely beneficial with today's door-to-door intermodal product. The arrangement allows the railroads and IMC's do what they are good at, while also allowing the IMC to layer on additional flexibility and reporting shippers need to run their business. The relationship also allows BCO’s to have one IMC to work through and gain access to all railroads versus having to call the individual railroads for their respected West Coast and East Coast lanes. 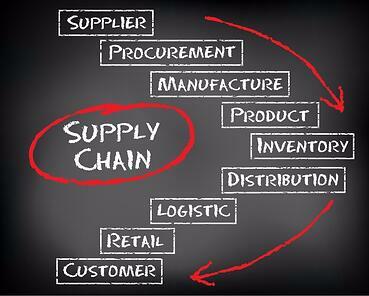 Are you an IMC (intermodal marketing company) or a broker? The differentiating point to this question is whether the intermodal provider has a direct relationship with the railroads. An IMC has a direct relationship, while a broker will gain access to intermodal service through an IMC. To learn more on the various types of IMC's, read Asset & Non-Asset Intermodal Freight Providers - A Detailed Comparison. A primer to the reading is asset and non-asset do not have the same meaning in intermodal as in truckload. What is your experience with intermodal damage and how do you help shippers prevent damage? This is a great question to gain insight as to how close the IMC is with the railroads or if they are stretching their expertise. If the IMC works in concert with the railroads to develop load plans and send a railroad representative out to your location, then you know this IMC is for real and is more than a transactional freight broker. What type of visibility will I have on the shipment in transit? When it comes to service and visibility, do not take the pressure off the intermodal provider. Some providers tell their shippers they cannot provide a great deal of visibility "after all it is the railroads you are working with". This comment could not be further from the truth and is frustrating to hear when shippers come to us telling us of their prior experience with intermodal. The visibility provided by the railroads is similar to the multiple scans a small parcel shipment receives in the FedEx and UPS network. Do not accept anything less. What technology do you operate and are you EDI connected with the class I railroads you move freight on for your customers? 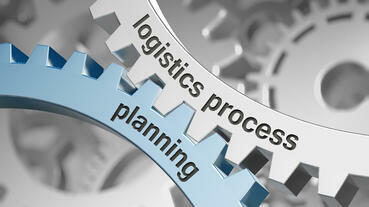 Logistics is about people, process and technology. The most accurate data comes through real-time EDI updates, so this is important for the service level your company will receive and it speaks to the commitment the IMC has to its intermodal service offering. Would you please explain how our company will interact with your intermodal service? Learn about their after hours of operation. You may be surprised by the answer. What transportation management system (TMS) do they operate and what are its capabilities that help provide a high level of service. Will we receive dedicated support or does the support come through a collective call center team. You want dedicated support, so you will always be talking with someone that understands your business. Tell me about other services you offer that I should know about. Temp Controlled, Haz-Mat, Mexico and Canada shipments can all be serviced through domestic intermodal options. 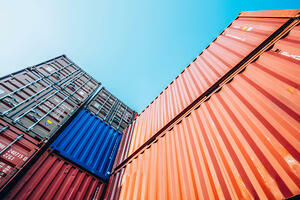 Share with me your cargo insurance coverage. This is never a question you should ask after a shipment is made, whether intermodal or when buying any other freight service. As mentioned earlier the process of pricing, tendering and tracking an intermodal shipment looks very much like truckload. Today's door-to-door intermodal transportation solution is packaged and serviced in the same manner as truckload, meaning shippers need only one point of contact for the entire process. Also, under this line of thinking, one call to an IMC is all it takes to have full access to all the intermodal lanes serviced in North America. There is no need to set up ramp-to-ramp rates with the railroads, then find draymen to coordinate the final mile delivery between the shipper's docks and railroad intermodal ramps. Again, one call is all it will take. There are some nuances on what was just said, so again recommend reading Asset & Non-Asset Intermodal Freight Providers - A Detailed Comparison. Shippers only need to reach out to an IMC for pricing. The IMC will either price by specific lanes provided by the shipper or the shipper can have the IMC do a full viability and pricing analysis on the freight lanes that are the best fit for an intermodal service. 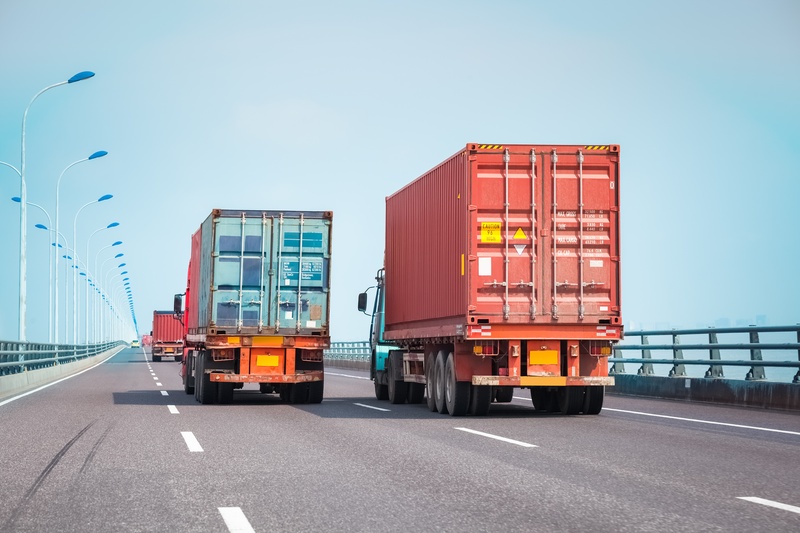 There are some components of intermodal pricing and accessorials that are different than truckload, which is addressed in Cost of Intermodal Transportation Services (Rates, Fees & Variables). 1-year rate, plus a fuel. This pricing also comes with a guarantee on capacity throughout the year. Beneficial cargo owner (BCO). This is another term for who holds title to the cargo. 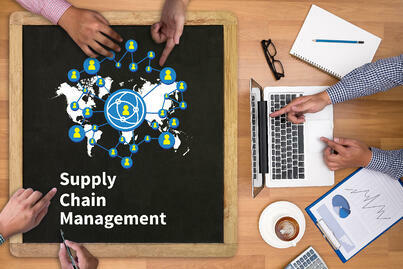 After a price is agreed upon and credit has been established, the shipper would call the IMC to tender the load. Once booked, the IMC will coordinate the pick-up at the shipper's dock; draying the load to the origin intermodal ramp; ensuring the container makes the rail cut; and coordinating final delivery. Throughout the life of the shipment, the shipper will either receive reports, be on an FTP, EDI or XML system-to-system connection or log into the IMC's website to capture the updates of the load as it travels from origin to destination. Once the load is delivered, and the IMC receives the invoice and signed BOL from the railroad and dray providers, which will allow the IMC to invoice the shipment to the shipper with the required paperwork for payment. Throughout a door-to-door intermodal shipment, the shipper's product remains on a 53' intermodal container and moved by truck with the intermodal container on a chassis, then double-stacked on a rail wellcar for the linehaul portion, then back on chassis with a truck making the final delivery. The majority of domestic intermodal is done via 53’ containers that stay within the US, Canada and Mexico rail system. The 53’ containers are never put on the water with a steamship liner. 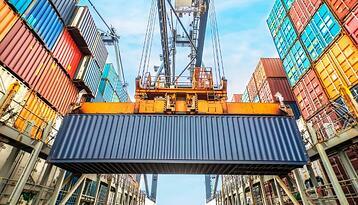 Cross-border shipping is a tremendous opportunity with intermodal. 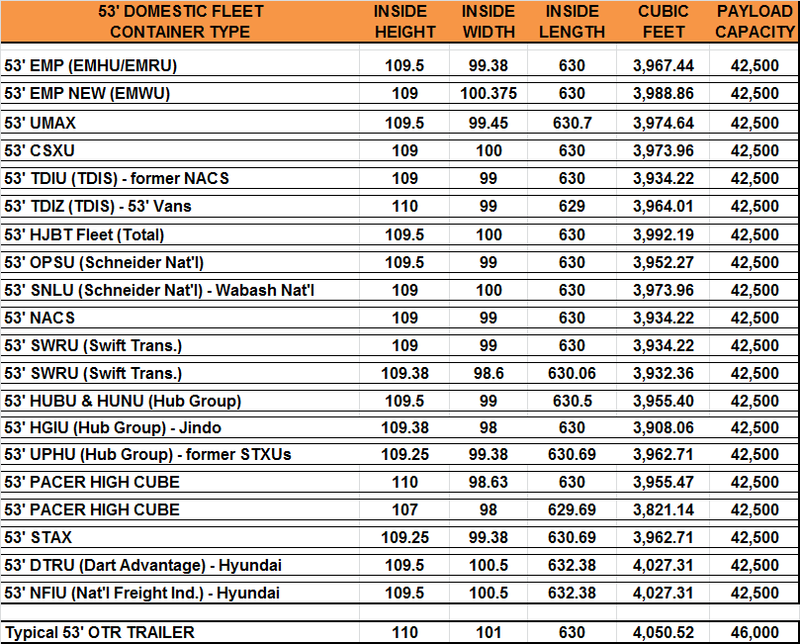 While the 53’ domestic market is land-based only, some shippers may be presented with ISO box (International Organization for Standardization) opportunities to save additional money over their truckload provider. The 20’, 40’ and 45’ ISO moves fall under re-positioning (re-po) programs with an IMC that helps the steamship lines position their containers in markets they find desirable for their network. The shippers that benefit most from repo programs are those where their freight weighs out before it cubes out. These shippers will reduce their need for blocking and bracing and find their freight per pound to decrease. Not all intermodal boxes have the same dimensions, which is seen in the chart below. One thing that is consistent with every intermodal container that is in the public market is they have sewing doors. Walmart recently introduced a roll-up door option, but those intermodal containers only operate within its own fleet, so for you shippers that work with Walmart you may see these hit your docks soon. Like truckload, drivers can either pull to the door for a live load or unload, or they can work from a pool of containers that are on chassis in the shipper's yard. ISO (international standard organization) shipping containers are utilized for import and export shipping by steamship carriers. These containers travel via intermodal service when they are moving to or from the port to their origin or destination. Shipments that weigh out before they cube out are excellent candidates for the smaller boxes. A short list of commodities that come to mind include: canned food and beverages, pet food, lumber and lumber products, paint, paper products, resins/chemicals and specialty steel. An added advantage for those shipments that weigh out before they cube out is the smaller box may be just the right size to further help the blocking and bracing needs domestic intermodal brings to its 53' lanes to prevent shifting of the load. Shipments moving from interior points of the US to US or Canadian port cities. As previously mentioned, the small boxes are intended for international shipments, but with the US economy importing more than it exports creates an imbalance of containers that shippers can use to their advantage. The imbalance creates motivated steamship line pricing for their boxes on these lanes because some revenue is better than no revenue. Shipments that are less time sensitive. As you have heard from us in several other blogs, domestic 53' intermodal shipments have transits of truck, plus a day. Now, there are situations where the small boxes have similar transits, but many times this is not the case and the situation is more fluid. ISO shipping containers are not for every shipper, but when it works tremendous value is created for the shipper on price and capacity. 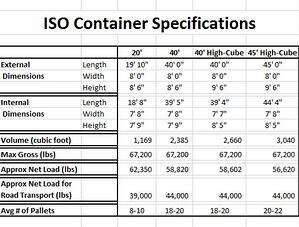 To the right are is a chart on ISO container equipment specifications. Like the 53' domestic boxes, all the ISO boxes have swing door, not roll-up doors. With the understanding of the intermodal shipment process and the equipment used, let’s go through the process of implementation. Educating yourself through as many resources as possible. The more you know, the better results will be. Research intermodal service, intermodal market, what makes a good intermodal lane and intermodal service providers. Truckload conversion to intermodal is not an all or nothing proposition. There are areas where intermodal will exceed truckload and other areas truckload will be a better fit. The web is a tremendous resource for self-education on the topic of intermodal. InTek has been a part of many modal conversion conversations with hundreds of shippers over the years, so please consider reaching out to us or at least using our resources (ebooks, blogs and website) for educating yourself. The blog Intermodal Transportation - Beginners Guide and FAQ and the eBook entitled The In’s and Out’s of Intermodal Transportation are a good place to start on the education process. Define for yourself and management what will define success for the project. Management buy-in cannot be underestimated. The definition of success will prove useful in paving the way for change management and providing support throughout the entire process of modal conversion. It will be of particular use when there are hiccups in a startup also. There are numerous types of intermodal service providers in the market, outside of the standard asset or non-asset question. Asset and non-asset intermodal providers are much different in structure and resources than asset and non-asset truckload providers. There are advantages to both, so again do not fall into the trap of "just like truckload". The key in the research and intermodal provider evaluation phase is to gather as much information as possible from various intermodal providers to leverage the collective knowledge with information gathered in the education step to further develop the ultimate intermodal solution. We recommend not locking into one provider at this stage. Keep your options open and narrow the group down to four or five as you enter into the next phase. As the saying goes, Rome was not built in a day. The same can be said for successful transportation strategies. There is tribal knowledge within organizations that will need to be accessed at this phase for the best intermodal analysis. This is not a pricing review, but an analysis of dock operation and equipment requirements at origin and destination, combined with an analysis of the company's lanes and their proximity to the North American intermodal ramps. Not all lanes will have intermodal solutions. The output at this stage will be a blueprint of the lanes that will be used for intermodal providers to bid the intermodal lanes. With the blueprint in hand, send out the RFP to the IMC’s. While there is a limited number of Class I North American Railroads, there are a number of solutions, so cast a wide net across the multiple intermodal service providers and make sure to include US, Canada and Mexico lanes. Also, do not shy away from including your truckload carriers. Knowing they are going against intermodal service may cause them to revisit their solution. During this step, you may need to revisit the vision of success you had for yourself and management at the very beginning. Not to worry if a change is needed here. This occurs in all types of projects. Just remember to circle back around with management to help walk them through the new vision of success and what caused it to change. Now is the time to circle back around to education, but this time it will be with your team, the operations and sales to let them know of the modal conversion and help set their expectations. The biggest group to educate during the implementation stage is the operation staff that will be loading the intermodal containers. You do not want them to fall into the trap of thinking intermodal is "just like truckload". This will lead them down a path of frustration for what is our most read blog … Intermodal Weight - The Most Common Issue with Shippers. 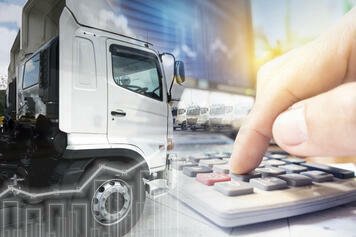 After the freight analysis is completed shippers tend to get excited with the savings potential and want to go all-in. Our suggestion is to fight this all-in urge and work with the selected intermodal providers identified in the pricing and transit step to develop a phased in solution starting with the simplest dock need and best intermodal service lanes first. These lanes may not be the ones with the biggest savings. 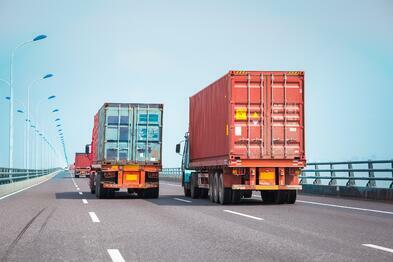 Caution - if the intermodal provider wants to go all-in, you may want to evaluate whether you are teaming up with solution providers or a sales teams. There is a big difference! With the intermodal implementation plan now in motion, it is time to evaluate the outcomes against the initial definition of success. With the analysis, tweak the program and continue to implement additional lanes until the full plan is in place. The intermodal ramp network continues to evolve, as does a shipper's inbound and outbound requirements, so do not think this is a one-time process. As part of the continued evaluation, continue to include your intermodal providers to share what they are seeing and introduce other services that could be used to step up the cost and service improvements. In closing, there is not a one size fits all solutions, so do the analysis to ensure intermodal will be a good fit for your company before jumping. During the evaluation process, keep in mind the evolution of intermodal within recent years has given intermodal inherent strengths and characteristics that have made it more than a price decision. You will find, as many other shippers have come to realize is the inherent strengths of intermodal has put this mode as another service classification, like truckload, LTL, air and ocean. To sum it up, shippers have many options to explore in their quest to find value in their supply chains utilizing 53’ domestic intermodal. We would love the opportunity to be a part of your journey in exploring intermodal within your logistics team’s strategy discussion.